Taj Computers & Informatics is an Information Technology Solution Providing Consortium of Professionals based in Chandigarh, India having solid and progressive experience in SEO, eCommerce, Designing, Development and Maintenance of Search Engine Friendly Websites and customized Software solutions. We have been putting our experiences to work since 1998, earning an award-winning status for effectiveness in Developing, Maintaining, and Promoting results-driven interactive websites. Our core specialization is in Search Engine Optimization, Internet Marketing, eCommerce Solution Development, Website Designing, Content Writing and Translation and Software Development for global clients. We are a professional IT Solutions provider and committed to deliver high quality, value-added, cost-effective and customer-focused IT solutions to the small, medium and large scale enterprises in India and overseas market. Get in touch with us at httpwww.netup.in or simply call (+91)98785-87580 and we will help you to find the best IT solution for your business. Ask for a free consultation now! 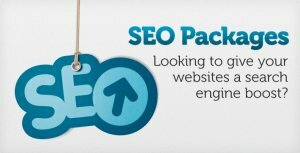 Taj Computers & Informatics is NOW Offering Affordable eCommerce and SEO packages for your business needs.